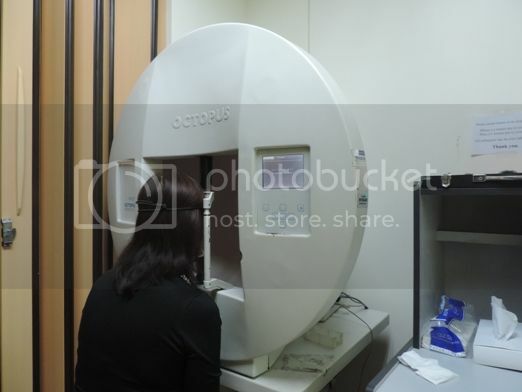 I have been undergoing visual field testing (VFT) at Makati Medical Center for 9 years now. That’s because both my eyes were negatively affected by the craniotomy (surgery for brain tumor removal) I had in 2004. The damage is irreversible, but the VFT is regularly done to monitor the stability of both eyes and to prevent further damage. What Is Visual Field Testing? According to WebMD, visual field testing, also known as perimetry test, is a test that measures all areas of a person’s eyesight including side or peripheral vision. This test costs Php2,835 at Makati Medical Center. The patient sits and looks at the center of a bowl-shaped instrument called a perimeter. Lights will flash from different parts of the perimeter, and the patient must press a button each time he/she sees a flash of light. 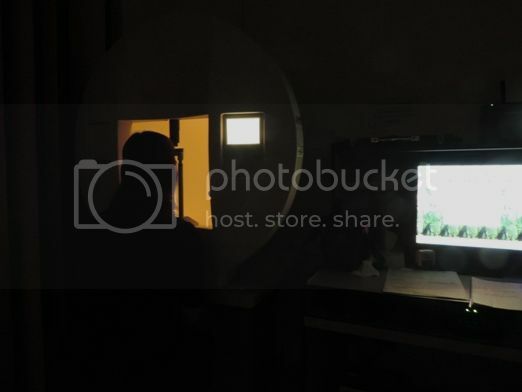 The computer records these activities, and a printout shows the areas of the patient’s vision that he/she failed to see flashes of light. According to the medical technician who assisted me, VFT for both eyes may take around 45 minutes to an hour. My VFT for both eyes lasted for only 45 minutes. Visual Field Testing helps detect dysfunction in a person’s central and peripheral vision which may be caused by glaucoma, stroke, brain tumors or other neurological deficits. While I have yet to show the results of my VFT to my ophthalmologist, the printout confirmed what I already know. My left eye has hemianopsia (half of that eye is blind), and my right eye has central residual vision (has little vision). I just hope that the condition of both eyes has remained stable since my last VFT. I hate undergoing VFT because of the dismal results I always get. While I know that my eyes have been badly damaged after my craniotomy in 2004, I still don’t like being regularly reminded of this. Besides, my right eye gets really tired after the procedure. But I totally understand the concerns of my ophthalmologist, and being a cooperative and obedient patient, I will still follow his instructions for VFTs in the future. This entry was posted in Makati Medical Center, Perimetry Test, Visual Field Testing. Bookmark the permalink.